CardConnect is a simple and secure online payment gateway. 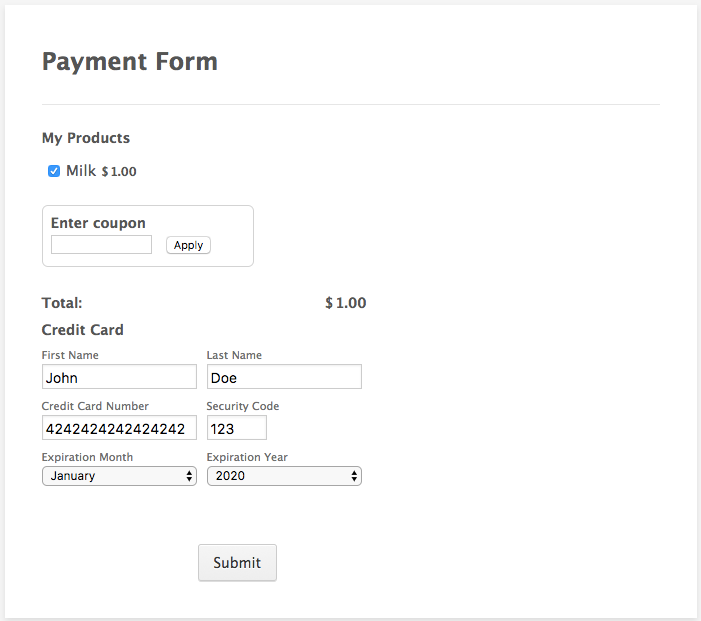 You can collect your payments from your forms by integrating CardConnect. Since CardConnect inception in 2006, CardConnect have been developing advanced payment solutions backed by patented, PCI- validated point-to-point encryption (P2PE) and tokenization. More than 67,000 businesses, ranging from Fortune 500 companies to youthful startups, use CardConnect to securely process and manage their transactions. 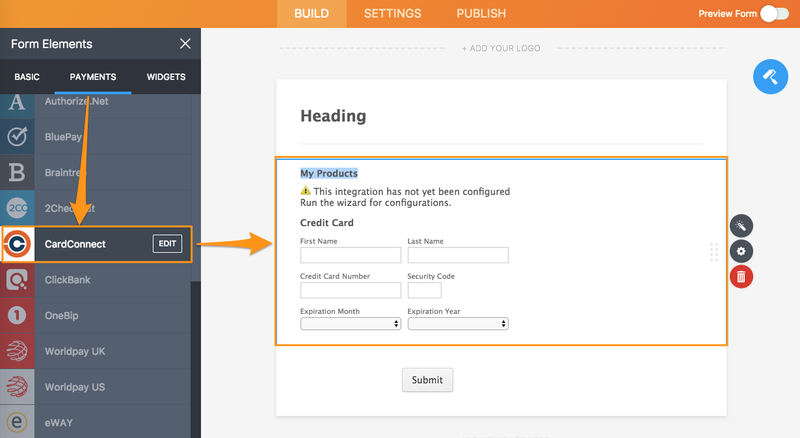 1- Open your form builder and click Add Form Element. 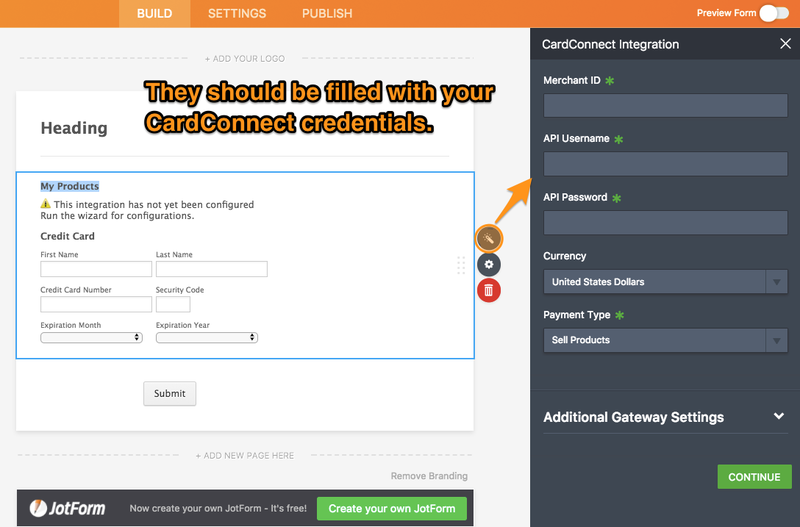 3- Click on CardConnect icon or drag&drop the CardConnect icon into the JotForm form builder. 4- Integration side-bar will be open automatically. 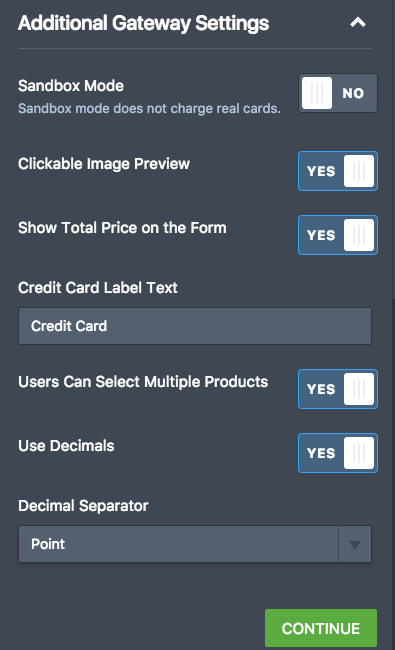 Please fill the textboxes with your CardConnect credentials. 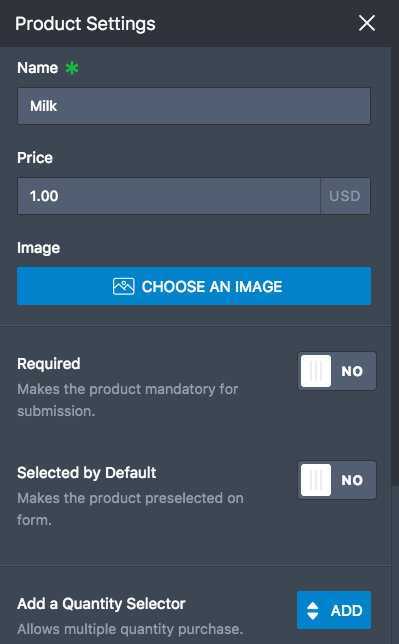 5- You need to select your payment type from the dropdown as shown below. You can select Sell Products if you will sell your products. In the next step, you need to create your products. 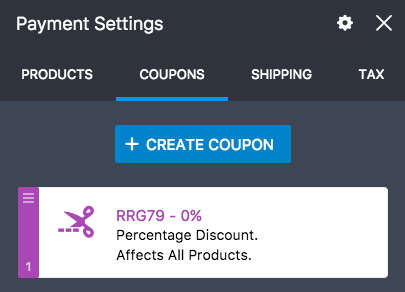 You can also make some additional adjustments like create coupon, shipping and tax for your products. If you select User Defined Amount or Collect Donations, Finish button will be appear instead of Continue. 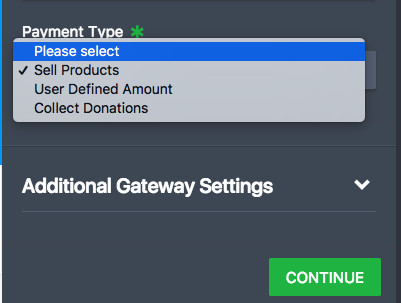 If you need to customize your gateway, you can use Additional Gateway Setting. The most important settings in the Additional Gateway Settings is the Sandbox Mode. When you enable SandBox Mode, sandbox credentials will be set automatically. 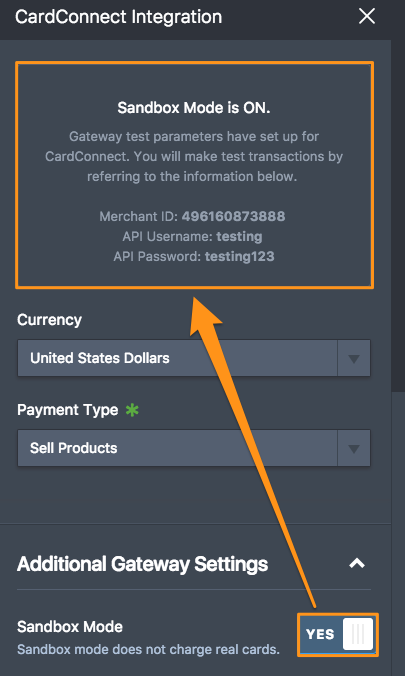 In other words, you don't need to fill the textboxes with the test credentials that CardConnect prepared for you in the CardConnect Gateway Testing page. What percentage is taken from each payment?? ?